I don't really think I'm lucky enough to win two giveaways in one month (or ever) but its worth a shot right? Also the prize is amazing and all the sponsors are great. 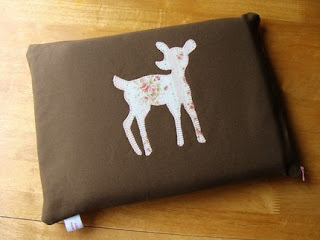 and the Darling Deer Laptop Sleeve from Lollington’s Shop... if only I had a laptop!